MOIST TERIYAKI TURKEY MEATLOAF, AMAZING MASHED POTATOES, AND BROCCOLI WITH CREAMY CHEESE SAUCE | Cook, Party, Enjoy! It’s Friday, yeah the weekend. Tomorrow we’re going to go to the Pocahontas State Park to rent a boat and do some fishing with Zachary. He just got a fishing pole and has never fished before. A celebration of simpler times, floating on the water relaxing with a fishing pole blissfully waiting for the bob to go under. I remember as a child it was never about the fish we caught or didn’t catch but about the time we spent talking, laughing and speculating about all the fish we were going to catch. It’s been a busy couple of weeks with the end of the month, entertaining over the Memorial Weekend, the end of school coming up and summer beginning. I’ll be posting a lot of grilling recipes and summer veggies and salads so watch for them. I have a new feature I am adding because Dinners are always on my mind an the big question is always – What to fix? So to help myself out I am going to post my daily dinner menu and the recipes here on my blog. It should help me stay on track and maybe it will help you too. After each post look for the What’s for dinner menu and recipes under this heading. If using fresh onion, in a small pan, cook the onions with the butter, a little pepper until translucent. 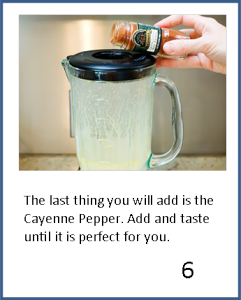 Mix the rest of the ingredients together with the onions, reserving 1 Tbsp. of the Teriyaki sauce. Form into loaf in a bake dish sprayed with non-stick spray. Top with the 1 Tbsp. olive oil over the top of the loaf evenly. Bake at 375 degrees for 45 minutes- 1 hour or until just starting to brown slightly around the edges. Also, during the cooking process, I poured a 1/4 cup of water all over the top 3 times. 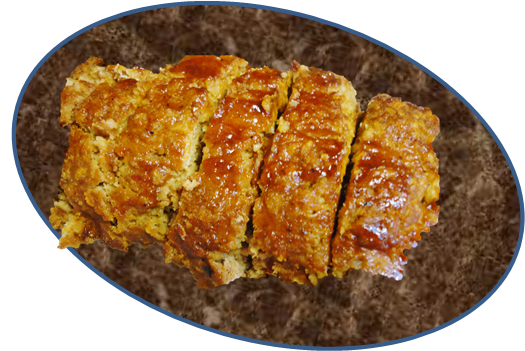 It absorbed right into it and it made it a very moist meatloaf! Wash, pare, and cut up your potatoes and place in a large pot.Pour water over the potatoes making sure all the potatoes are covered add 1/2 tsp of salt. Bring water to boil and allow potatoes to simmer until they are soft and a fork easily pierces them. Once they are cooked through remove from burner and drain. After draining return the potatoes to the pot and using a potato masher or your hand mixer beat the potatoes to achieve a fluffy mashed potatoes. Add the milk and butter and mix. Finally sprinkle with the Hidden Valley powdered dressing mix and mix one last time. Pour into serving dish or serve right from the pot. Try steaming your broccoli in the microwave, you’ll get great resultls. 2 cups broccoli flowerets fresh or frozen lately I have been buying frozen veggies because they are flash frozen and I feel they may retain more nutrients than those veggies that are transported across the country or world. Now if I can get the veggies I want at the farmer’s market I will buy them there. 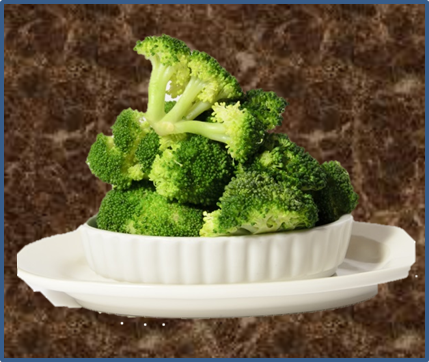 Steam broccoli in a pan with a small amount of water simmering in the bottom and place broccoli in a steamer basket. In a microwavable bowl place the frozen broccoli flowerets. 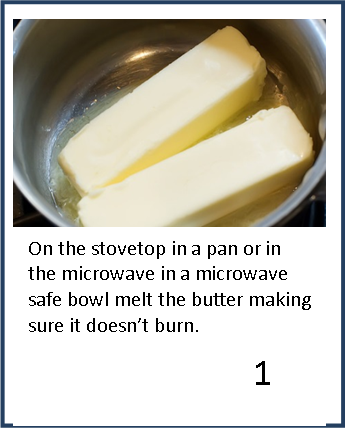 Microwave for 5 to 7 minutes depending on the power of your microwave. Mine is 1,000 watts so I do it for usually 5 minutes. I don’t add anything to the broccoli and it is delicious. You could add a *hollandaise sauce or **butter cheese sauce. 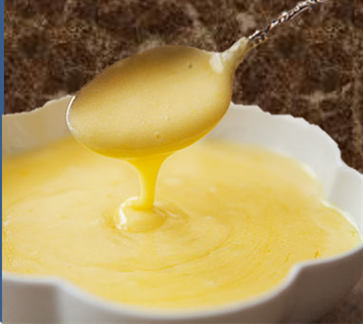 Making Blender Hollandaise Sauce is so much easier than with a whisk and the taste is still out of this world. This recipe is from my favorite Pioneer Woman herself from Sep. 4, 2008 for her Eggs Benedict recipe. Have you ever wanted to make Hollandaise Sauce, but opted not too because you thought it too hard. 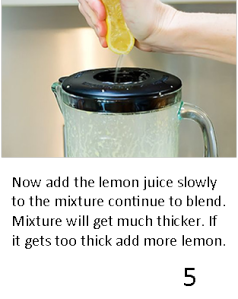 Consider this, simply put, it is butter and lemon juice combined with egg yolks to make a hot seasoned mayonnaise, yummy. 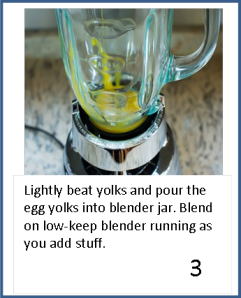 This blender recipe makes it a lot easier to make than the old fashioned method of using a whisk in a pot over a burner. This way it just about always turns out perfectly. So why would you ever just use butter on your broccoli? I always thought that thought Hollandaise sauce was too hard to tackle. All that whisking, making sure it didn’t burn But in the Blender it is so easy I don’t hesitate to make it for veggies, steak anything I want a creamy sauce on. Yummy! Note: I only use pasteurized eggs when a recipe calls for raw eggs. You’ll find them at the grocery store, they are not that expensive and will save all those who enjoy your recipes any unnecessary illnesses. 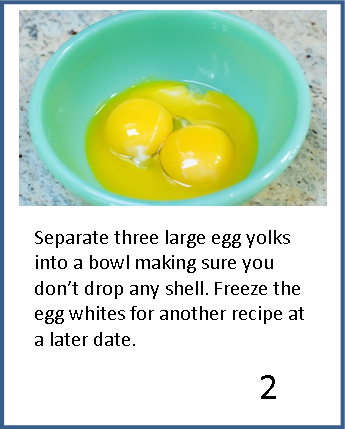 There are methods to pasteurize your own eggs and I will share that with you in a future post. I sometimes do it but honestly the cost of commercially pasteurized is so worth it. TIP: I love lemons and I buy them often but to my dismay many times they spoil before I can use them. Minute Maid makes a frozen lemon juice that is terrific and the most like fresh squeezed I have ever used. It is in the freezer section at the grocery store. Want A Cheesy Sauce on the broccoli try this one. You will be making a cheesy white sauce. 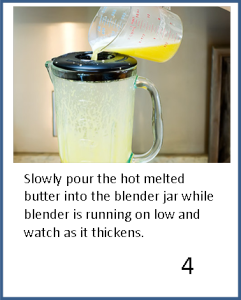 Melt butter in a medium saucepan. Whisk in flour, mustard and salt to taste. Gradually stir in milk, whisking over med-low heat until it begins to thicken. Remove from the heat and add cheese, stirring until completely melted. If cheese doesn’t melt return to burner on low heat and stir until all the cheese is melted. Be careful not to overcook or the cheese will become stringy. Add the cheese to your white sauce right before you serve it. 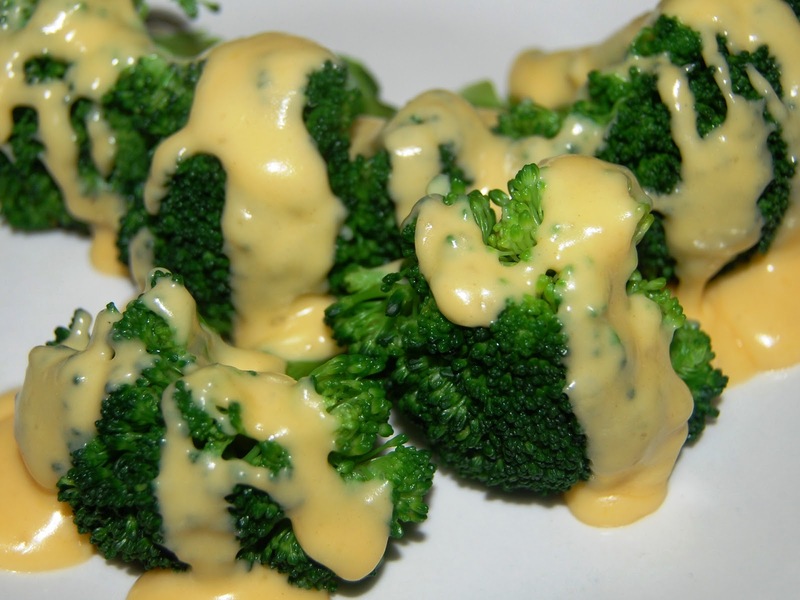 Put broccoli into serving bowl and pour cheese sauce on top. I hope you enjoy this dinner. I have been getting emails from readers from all over the place saying how much they enjoyed this dinner menu. Thank you! I will keep posting because of you. ← Make Hundreds of different Cookies from CAKE MIX !